This week I've been reading "True Worshipers" by Bob Kauflin. His book "Worship Matters" is a benchmark work for many worship leaders and it was foundational for my early development. I've been looking forward to getting into True Worshipers for a while now and it hasn't disappointed. Here are a few of my favorite quotes from the first two chapters. "Music is a part of worshiping God, but it was never meant to be the heart of it." "Broadly speaking, worship in spirit and truth is worship that springs from a sincere heart and lines up with the truth of God's word." "It's the Spirit who brings life to our spirits and enables us to know, love and worship God the Father through Jesus Christ. In other words, it takes God to worship God." "Any definition of true worship that denies or minimizes God's supremacy, authority, and uniqueness is unbiblical and will lead to idolatry." "Ashamed, confused, and afraid, Adam and Eve tried to hide their nakedness and rebellion from God...He sought us out and provided for us when all we wanted to do was run from Him." "Jesus Is born. In an act of unfathomable love, deity becomes dust, the maker becomes the maligned, the creator becomes the cursed." You can purchase True Worshippers here. One of my favorite recent worship releases is "Touching Heaven" by Influence Music. Influence Music is a record label and artist collective birthed out of Influence Church in Anaheim Hills CA. Their artists include Matt Gilman, Michael Ketterer, and Melody Noel. You can Purchase the album "Touching Heaven" here. 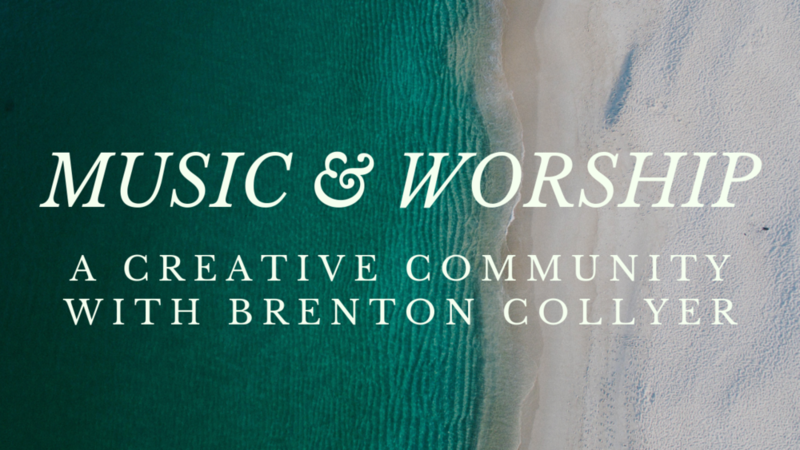 CCLI has recently begun producing the Worship Musician Magazine. Their first 12 issues are available for free to any CCLI license holder. Their most recent issue features an interview with Kim Walker-Smith and Chris Quilala discussing their new album and song "Living With A Fire"
The Netflix series "Abstract" is a wealth of inspiration for any creative. The first episode features illustrator Christoph Niemann, most popular for his Sunday Sketches on Instagram. I've read and seen a lot about creativity and art. This episode is the most creative and artful approach to the subject I've seen. If you don't subscribe to Netflix you can get a taste of Niemann's quirky creativity through this popular TED Talk.